Evansdale Cheese was the first small cheese making factory in New Zealand, beginning in 1978, with the Dennison family cow, Evansdale Cheese has grown from gathering 150 litres of milk each day, to 1,500 litres each day. The world has changed a lot since Evansdale Cheese first started, but our family continues to make artisan cheese, recognising that cheese can thrive with a little care and consideration. If cheese is handmade, properly looked after, and left to mature, it can develop a delightfully unique character. 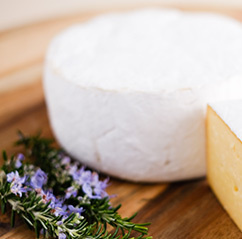 We aim for our cheeses to be enjoyed at their best and to preserve the natural processes and subtle flavouring of the elements within the milk. 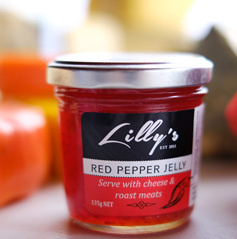 This helps to preserve the cheeses natural delicate or robust flavours. All Evansdale cheeses are made naturally free of preservatives and calf rennet. We now sell and produce 20-30 different varieties of cheese, sold throughout New Zealand, to supermarkets, boutique eateries, and restaurants and our other precious customers. A 100% New Zealand owned business, still owned by the Dennison family, you can visit our Cheesemaking facilities and shop at Hawksbury Village, or find us at your local Farmers Market. Sign up with us for the latest news, events and great specials.